Factory pre-calibrated for unmated color accuracy (∆E< 2) with 99% Adobe RGB, 100% sRGB, and 120% NTSC. 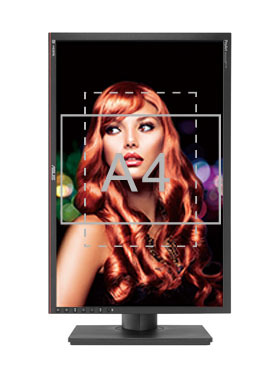 Professional 27-inch AH-IPS display with 2560 x 1440 WQHD resolution and 109 pixels per inch for greater image detail. DisplayPort input, Daisy-chain DisplayPort output, HDMI, and Dual-link DVI; along with six USB 3.0 ports and a 9-in-1 card reader. Pay only P 4,509 a Month for 12 months. Or pay only P 8,540 a Month for 6 months. 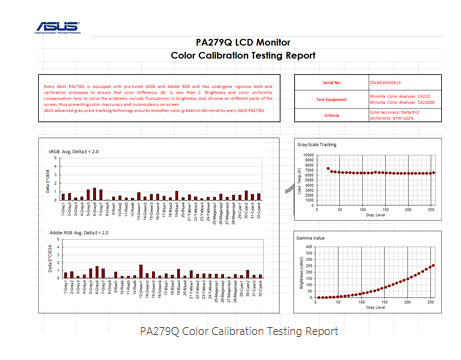 The ASUS PA279Q is pre-calibrated at the factory for the highest accuracy and outstanding color space reproduction  99% Adobe RGB, 100% sRGB, and 120%* NTSC. With a wide color gamut of 99% AdobeRGB, the colors seen in photos will be reproduced faithfully and consistently in a way that cannot otherwise be on monitors with just an sRGB color space. 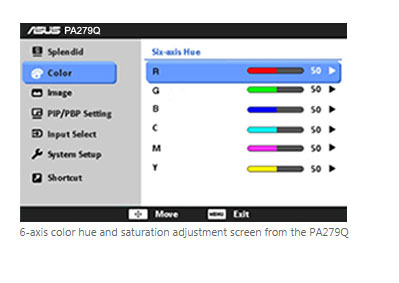 The out-of-box settings are impressive as each PA279Q is pre-calibrated at factory to prove the best color accuracy. 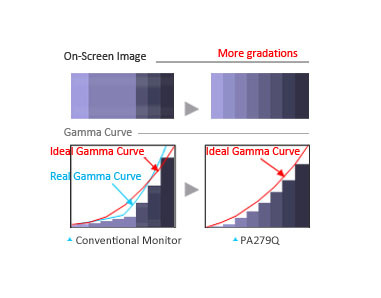 To ensure that each PA279Q produces the most accurate and consistent color, we carefully measure its ∆E and gamma value and track its gray-scaling. 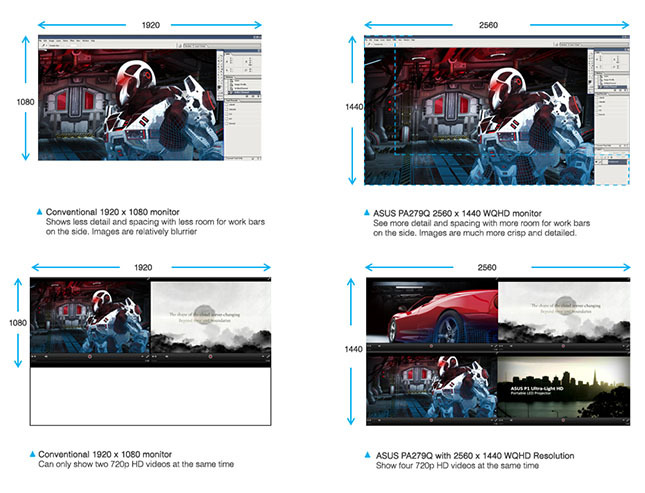 It even supports Gamma 2.2 for PC and Gamma 1.8 for Mac  offering users more flexibilities to work with. 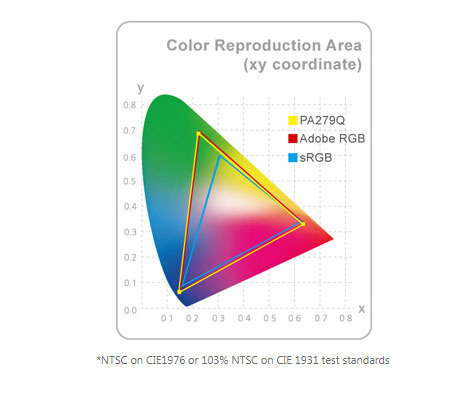 Each PA279Q guarantees industry-leading color accuracy, having been pre-calibrated to minimize the color difference to ∆E (Delta E) of less than 2  ensuring precise reading of color input and guarantees excellent color fidelity. The ASUS PA279Q features AH-IPS (Advanced High-Performance In-Plane Switching) display technology for superior color accuracy, a brighter image from increased backlight transmission and lower power consumption. Each PA279Q also features a brightness rated at 350cd/m² and an 100,000,000:1 ASUSSmart Contrast Ratio for enhanced image contrast. 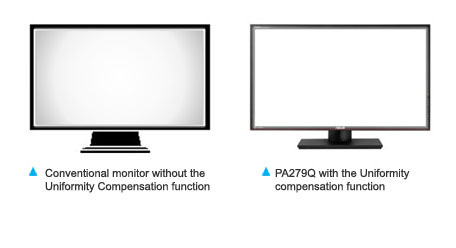 The PA279Q WQHD monitor provides 109 pixels per inch (PPI), resulting in high quality 2560 x 1440 visuals  equaling four times the resolution of stand 720p sets. It allows users to view greater image detail and do more with an onscreen footprint larger than that of standard displays. The screens 109PPI density means there are 109 RGB matrices within one inch. Generally, the more pixels a display has, the more lighting (or power) those pixels require to achieve the best visuals. However, with advanced LED backlighting on the PA279Q, power and energy savings are no longer compromised, while better visuals are assured. With its WQHD display, you enjoy 77% more desktop space than a full HD screen to spread out your windows and palettes. It is also about 25% sharper than a generic 27 full HD display, delivering ultra-smooth visuals thanks to 6ms (GTG) response time. This ensures you get lag-free experiences in movies and gaming, with the latter looking more vivid, with all in-game details shown in true color. The ASUSPA279Q is undoubtedly your best choice for work and play. ASUS Splendid Video Intelligence Technology is built upon a color engine that automatically analyzes and determines the nature of the users current task, thereafter adjusting the displays parameters according to ensure color accuracy and image fidelity. 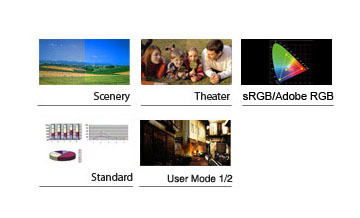 Seven preset modes (Scenery, Theater, Adobe RGB, sRGB, standard and two user modes) can be selected via a designated hotkey. *2. one USB3.0 port is with SuperSpeed Battery Charge function.